In this winner of the Dream of the Red Chamber Award, one of the most prestigious honors for Chinese-language novels, hundreds of inhabitants of a town begin dream-walking, a state that causes them to act out the desires they’ve suppressed during waking hours. Before long, the community devolves into chaos, and it’s up to Li Niannian and his parents to save the town before sunrise. 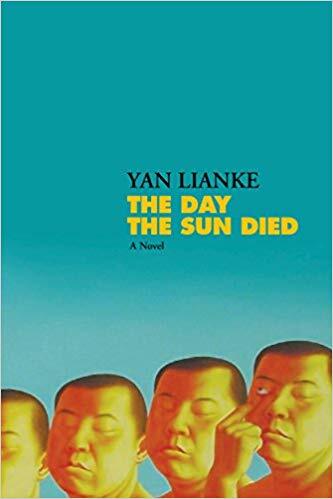 Published originally in 2015, Yan Lianke’s latest novel The Day the Sun Died explores with a strange elegance and dark, masterful experiment these twin themes of night and death, dreams and reality. The book takes place over the course of a single night, beginning at 5pm and ending early the next morning ... This is a brave and unforgettable novel, full of tragic poise and political resonance, masterfully shifting between genres and ways of storytelling, exploring the ways in which history and memory are resurrected, how dark, private desires seep or flood out. It’s the creepiest book I’ve read in years: a social comedy that bleeds like a zombie apocalypse ... an artfully organized, minute-by-minute description of 'the great somnambulism,' a horrific night of sleepwalking ... A macabre subplot pushes this theme even further into the realm of the grotesque that stretches from Jonathan Swift to Nana Kwame Adjei-Brenyah ... Yan’s understated wit runs through these pages like a snake through fallen leaves, but if you don’t appreciate the harmonic repetitions of his narrative, it will seem maddeningly dull. And if you insist on traditional character development, you will be completely disappointed. You either fall under this incantation, or you break away in frustration. 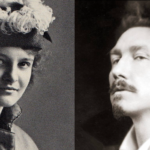 The novel’s style poses special challenges, too. The plot’s dreaminess is emphasized by Yan’s repeated phrases, relentless recycling and extraordinarily metaphoric language ... it’s a wake-up call about the path we’re on. ...this exuberant but sinister fable confirms its author as one of China’s most audacious and enigmatic novelists ... With its yarn of a single night of mayhem, and its naive but perceptive narrator, The Day the Sun Died achieves a focus and momentum not always found in Mr Yan’s work. His writing—resourcefully translated by Carlos Rojas—feels both ancient and modern, folkloric and avant-garde. He honours the modern Chinese experience of living in two worlds, two epochs, at once. What did you think of The Day the Sun Died?